Our guests love our spacious, comfortable living room and library, la sala. This light and airy room has Oaxaca's largest collection of books in English on Oaxaca and Mexico, literature and light reading selections, plus a TV, VCR and DVD player. We also have an excellent collection of Oaxacan folk and fine art. 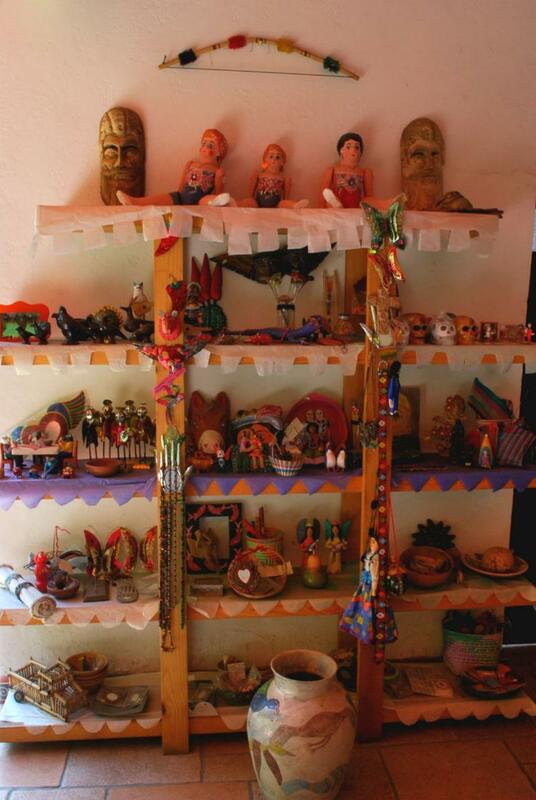 Jane stocks her "Tiendita" with a great personal selection of Oaxacan folkart, for sale and to give you an idea of what's out there! 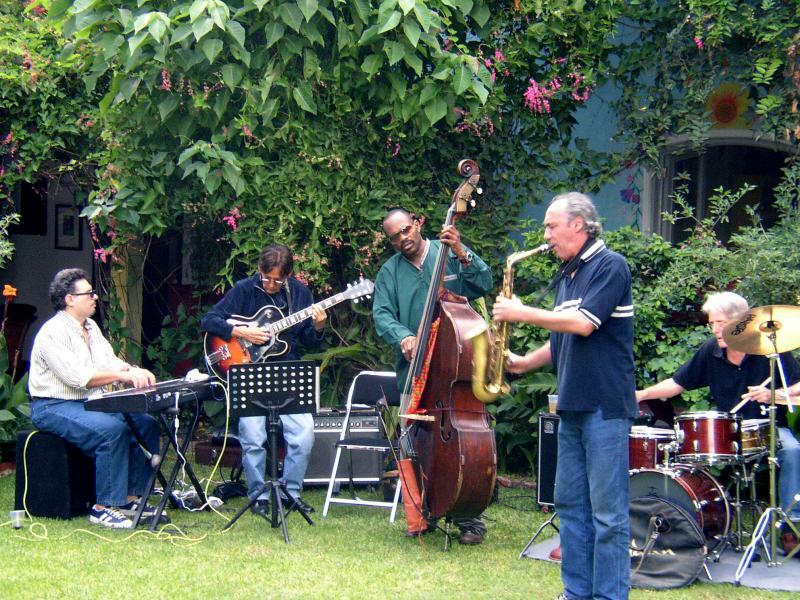 We host many community events, like Jazz Sundays in a Tropical Garden to benefit local charities. We specialize in helping our guests experience Oaxaca. Easily explore the magical city, incredible ruins, traditional village markets, villages specializing in various types of folk art, the beautiful valleys and mountains that make a Oaxaca visit so special. 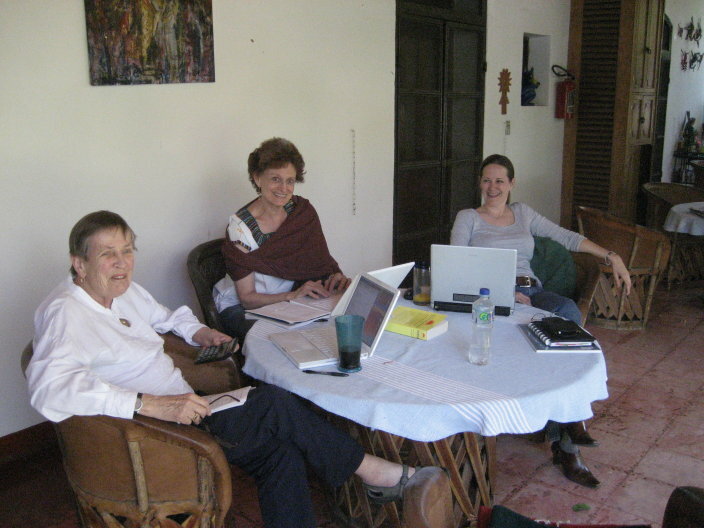 Your hostess, our bi-lingual manager, and our friendly staff are here to help with your questions about Oaxaca and to make the excursion arrangements you want. We have useful maps and written materials, too. 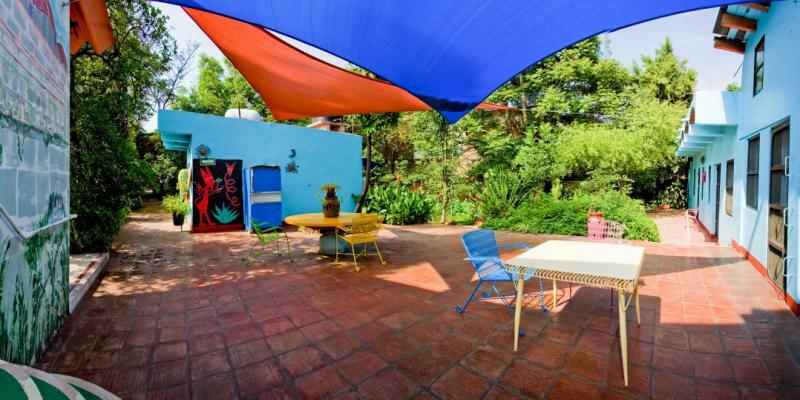 Of course, there's nothing wrong with just relaxing at the Casa! We'll change your money or point you to an ATM for the best exchange rate. You can enjoy a margarita on our back patio. Local telephone calls are free; you can call long distance with your telephone calling card or credit card. Internet access, with our computers or with your wi-fi equipped laptop, is free. We have limited secure free parking.